This is a true story and not a story with a happy ending. While on a quick errand last week, I turned a borrowed key in the lock of a vacant home and when the door opened I heard the sound of rushing water. Upstairs, a burst pipe leaked through the wall, and water ran through the bedroom carpet and down to the next floor. After a series of calls to very some unhappy people on the receiving end, eventually the water was turned off and a fleet of disaster clean-up trucks and trailers showed up and started stripping the home. Leaks Happen, and Detection ProtectsHaving directly experienced the shock of a sudden water leak, it was interesting to learn that Audio Innovations has developed a product line to keep homes safe from water damage. When asked how, Jess Goitiandia, owner of Audio Innovations in Hailey, says they accomplish it with strategically located sensors in locations throughout the home. When water is sensed, it will automatically shut off the water main and send out an alert notifying of the trouble. Jess outlined situations that could be prevented: a water leak in the kitchen under the dishwasher or the water spigot freezes and breaks the pipe. “Disasters happen in a vacant home even if there is a scheduled weekly check. Within a couple of hours of the leak’s onset, hundreds of gallons of water can run all over a home. After three days of nonstop running, the floors are ruined, the custom painted sheetrock and furniture are soggy, and the crawl space is flooded with a couple of feet of water. If it happened in the upstairs bathroom, water runs down the stairs and soaks through the floor, and the sheetrock once on the ceiling is now scattered all over the first floor. And there can be many days until the property manager comes back for inspection. Imagine how long it takes to dry out, and what about mold? When a property isn’t consistently occupied, no one knows what has occurred until it is too late,” Jess describes, and the situation I had just experienced convinces me of the truth of what he says. All could have been avoided with the special device Audio Innovations can install, the Water Cop. It is an automated water shut-off system with flood sensors and a turn-off at the main water line. According to Jess, depending on the insurance carrier, those installing the leak-detection monitoring device could receive substantial discounts on insurance. This device is part if ongoing research for new products. “Audio Innovations has always been on the cusp of bleeding edge technology, and now we have developed a new commercial division to focus on and specialize in energy management. Technology allows remote management of lighting, climate- controls, irrigation, snowmelt systems and more,” explains Jess. To aid in this process, Audio Innovations has brought Jay Bason into the family. Jay has a bachelor’s degree in electrical engineering from Duke University and a master’s degree in engineering from Loyola College. “Jay is Silver-certified as a Crestron programmer, and he is part of a select group of individuals we call the special-forces team, meaning true problem solvers with deep training and analytical abilities,” Jess clarifies. An example of effectiveness is the concurrent management of shades, drapes, heating, and lighting using a Crestron controller. According to Jess, it can offer a substantial 80% savings in energy. Audio Innovations is also configuring automated fans for attics that prevent ice dams on the roof in winter and keep the home cool in summer. “We really invite people to call or stop by and discuss options to create ways to save money in wasted resources, and to take the responsible step to not waste. Technology is advancing so fast, a personal meeting will explain the possibilities for introducing technology in general and the advantages of our devices and systems,” says Jess, noting that their offices and showroom are located conveniently in Hailey. Audio Innovations carries premier products for home entertainment, including McIntosh exclusivity. 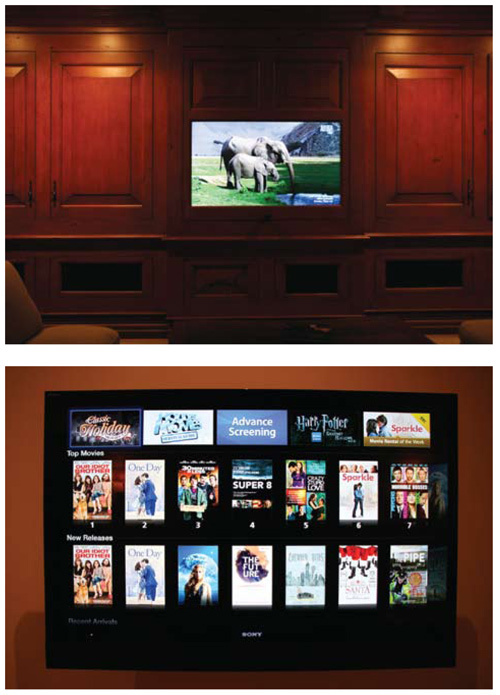 Similar to simplifying homes, entertainment systems can now be managed with just one device. Another advance that Jess is especially pleased with is how Audio Innovations eliminates the clutter of wires, cables and auxiliary devices for flat-screened televisions, making for clean installations. Audio Innovations continues to grow in its abilities to make homes smarter, more comfortable, and more enjoyable. It is a local business that provides service, as well as products.